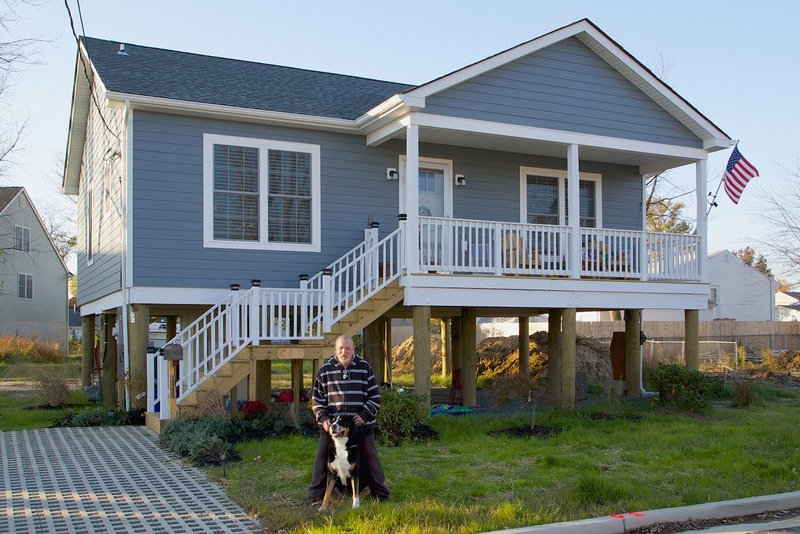 Rebuilding Union Beach homes are designed to be resilient, sustainable, cost-effective and beautiful. 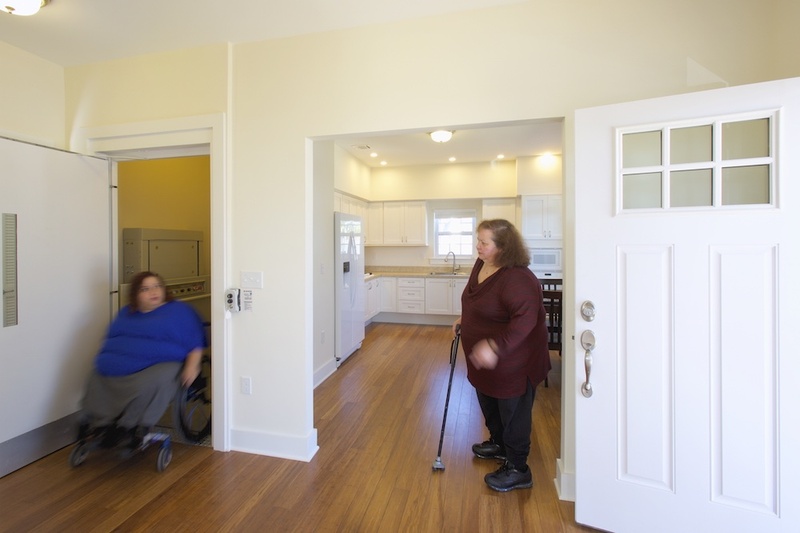 They were matched to homeowners based on their family size, lot size and special needs. They range in size from 950 - 1350 square feet and cost between $190,000 - $260,000 including landscaping and furniture. Homes are elevated one foot above local code requirement and three feet above FEMA guidlines to enhance safety and qualify homeowners for lower insurance premiums. This is the maximum elevation for which the Increased Cost ofCompliance (ICC) Grant would reimburse. Hurricane strapping provides a continuous load transfer connection between foundation, walls and roof. Houses are structurally engineered to withstand 115mph winds and flood surges. Cement board siding is non-combustible, impervious to water, insects and mold, and is able to withstand high winds. 5-tab architectural roof shingles have a stronger connection to the roof than standard 3-tab shingles. Grade slopes away from the home and driveway and directs water flow toward landscaped areas where it can be absorbed. Front porches were installed at each home to extend the living space, increase security on the street and provide an opportunity to be outdoors and connect with neighbors. This is particularly important for elderly and disabled residents. Layouts are efficiently designed to maximize usable space. A palette of light colors was offered to home-owners to match the bayside location, reflect light and provide options with broad appeal. Tall windows are used extensively to maximize natural light and views. Proportions and materials were carefully considered to create a beautiful home, minimize maintenance in a coastal climate and create an attractive streetscape. Manufacturer/Contractor should provide construction drawings for review prior to construction. Stair rails should be easily graspable to avoid the need for a separate guardrail and handrail. These are readily available for interior use but may need to be ordered in advance for exterior use where pressure-treated wood is required. Donations of furniture, kitchen and cleaning items and linens were provided in order for families who lost their belongings to use their homes immediately upon move-in. 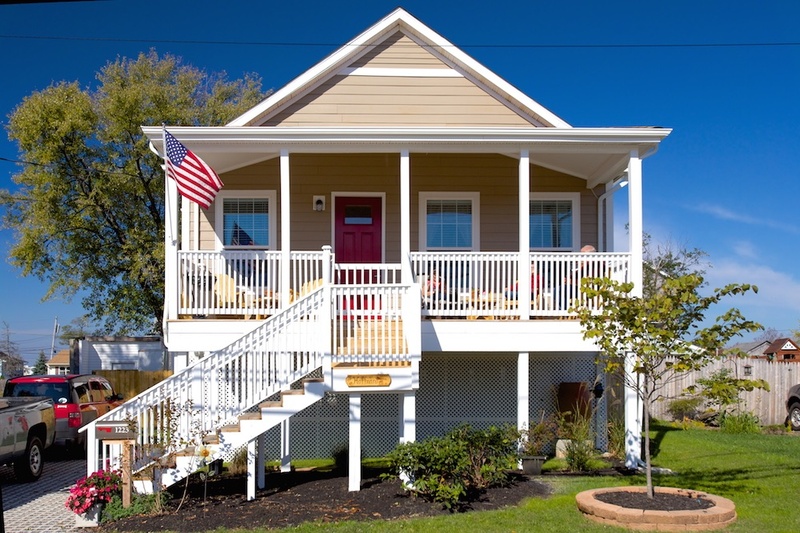 The project provided porch furniture, mail boxes and even American flags to help make the house a home. 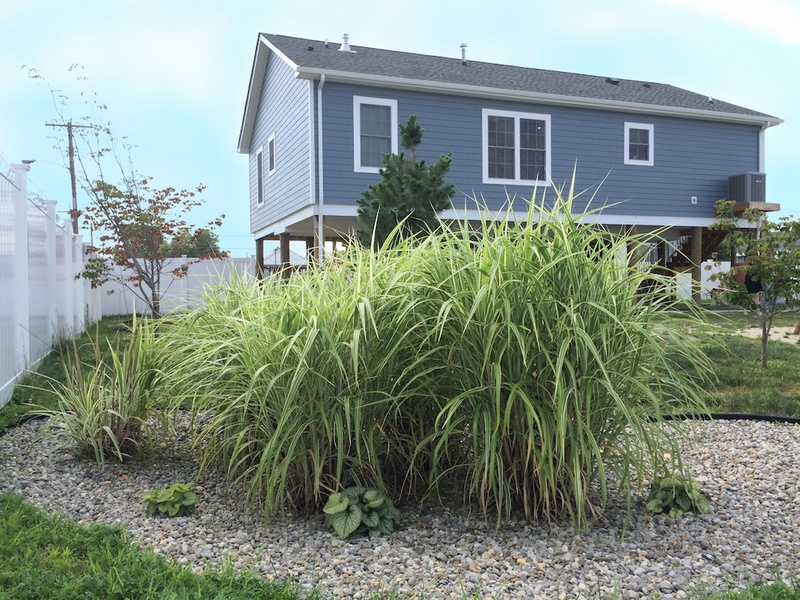 Flood water mitigation and water conservation features including semi-pervious driveways to improve drainage, rainwater catchment, rain gardens, and erosion-resistant native planting. Renewable and non-toxic materials such as bamboo, linoleum flooring and zero-VOC paint. Materials with recycled content including roof shingles and cement board. Strategic tree planting to provide shade. Higher rated insulation than required by code to increase energy efficiency, reduce utility bills and mitigate exposed underside of elevated home to cold temperatures. Screen doors and ceiling fans to encourage natural ventilation. 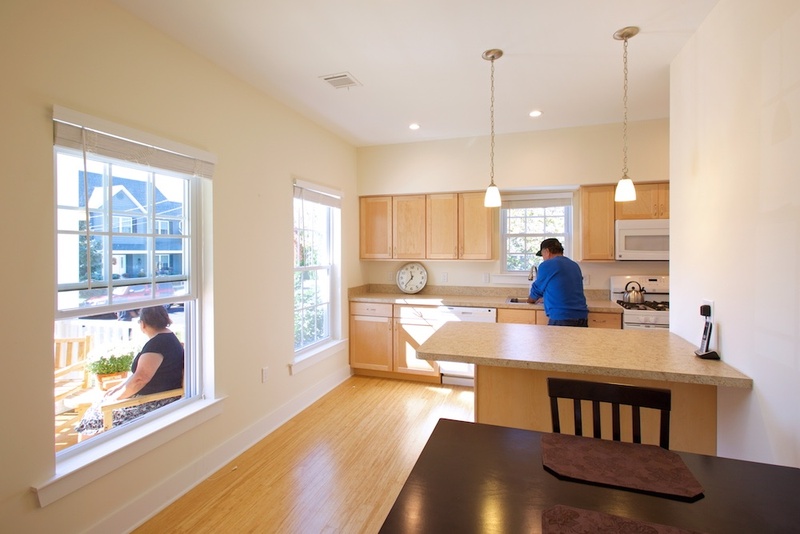 Large window areas to increase natural light and provide cross-ventilation. 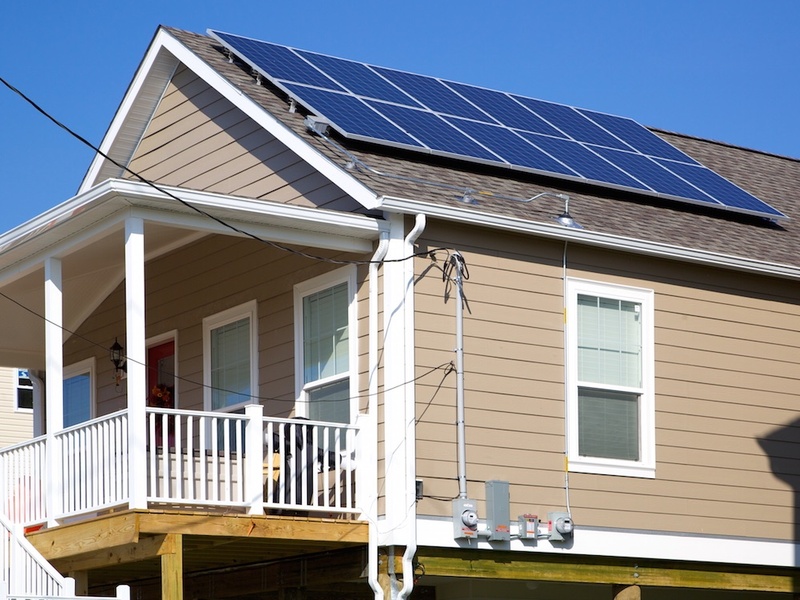 Solar panels to reduce energy costs and offset property tax increases inherent in new construction. Use of LED light bulbs.